Flying saucers spotted in London. Technology changes so rapidly that if you don’t focus on the message you’re behind before you start. For example Pepsi Max has surprised commuters with their “unbelievable” augmented reality installation at a bus shelter on New Oxford Street in London. The intervention locates a special real-time display on the exterior face of a billboard wall, which visualizes a realistic augmented live stream of exaggerated events from the inside. Unsuspecting bus passengers are terrified by a glass screen showing the street scene overlaid with apolcalyptic scenes of mayhem and destruction. From a giant robot crashing through the road’s brickwork to a passerby being abducted by flying saucers, the interactive experience creates unusual scenarios on the street, engaging the public for a publicity stunt. But will it make people drink Pepsi? 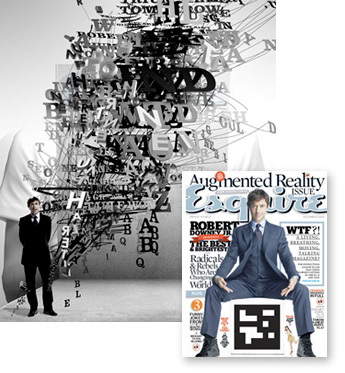 A past issue of Esquire featured the latest digital technology to dazzle advertisers and consumers alike, “augmented reality.” Its cover displayed a code designed to interact with PC-connected video cameras. 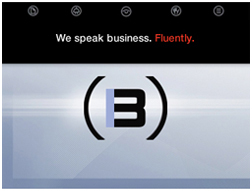 The “augmented reality” offering features video clips, a music track and even an interactive marketing section. You can visit www.esquire.com/the-side/augmented-reality and experience the fusing of print and interactive and judge for yourself whether this will save print as we know it. I love this technology. It’s new and fun and geeky—and like the James Cameron film, “Avatar”, which changed the way films are made—it’s amazing. However, for some reason it makes me think of 19th Century author Victor Hugo who probably never used the word “technology” in his life. He wrote his massive tomes, such as “Les Miserables”, by hand many times before publication; but somehow he communicated with such insight and power and relevance that when he died more than two million people took to the streets of Paris in a spontaneous show of respect. We all will have to decide what the difference between technology and communication is for ourselves before all human ideas become lost in the digital ecosystem.